Holograms are specially designed labels which are used for the security of the product. The hologram stickers are designed in such a way that the authentication of the product can be proved. The hologram labels may contain the company logo or any specific mark which proves the originality of the product. There are special machines used to apply hologram labels on the products or containers which are known as hologram applicators or hologram sticker labelling machines. In packaging industries hologram applicator is considered one of the most important labelling machines as they are used to stick a hologram sticker which is an integral part of the entire packaging process. A hologram applicator can complete tasks which include product feeding, roll winding and label dispensing which ultimately leads to accuracy in applying labels. It can help to change the speed of labelling with just a single option in its control panel. There is an inbuilt length detection system in hologram labelling machine and so manually feeding or storing the data relating to the length of the labels is not required. Thus, you don’t need to retrieve this data if the label size has been changed or the machine has been restarted. The hologram label applicator can stick labels on bottles, vials, cassettes, tins, containers, boxes, syringes, pouches and many more. 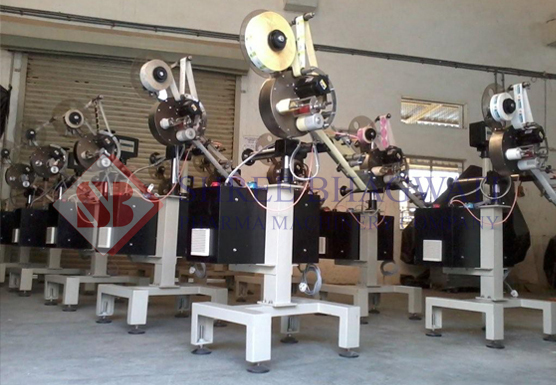 Hologram sticker labelling machine is considered as one of the most user friendly type of labelling machines. The best thing about this hologram sticker labelling machine is that if there is no product, there is no labelling process running. This means that there is no wastage of labels and energy of the machine both. There is a digital counter display in the hologram sticker labelling machine which shows the accurate output. The product input can be done manually in this sticker labelling machine through its product transmission system. In this hologram sticker labelling machine, the dispensing unit can be adjusted horizontally and vertically both.